Savings. Many people wonder “Am I saving enough for retirement?” and there certainly calculators to help you answer that question. The more you have in savings, the easier time you may have in retirement, even if you retire early. Pensions and retirement accounts. If you have a pension through work or have been investing in a retirement account, the size of that account can help you determine how comfortably you can retire, when you can retire and whether you can retire at all. Income needs. You need to consider how much you currently spend to help you determine how much income is enough for you to continue your current lifestyle. A common piece of financial advice for retirement planning is to get things in financial order before even approaching retirement. You will have an easier time with your retirement if you have paid off your mortgage, credit cards and other major debts so you’re not paying off debt while in retirement. If you can reduce your living expenses by downsizing, you may be able to retire more quickly or enjoy a better lifestyle after retirement. Spousal support. If you’re married, your spouse’s income and retirement savings or pension may also help support yours. However, you will have to take into consideration the expenses of another person. Social Security. Consider how much Social Security can expect to contribute to your monthly household income. Inflation. Even if you could afford to retire right now, keep in mind, inflation will eventually erode the value of your savings. The month-to-month costs and expenses of your daily life will slowly creep up over time. In the 20 to 30 years of your retirement, you may see significant changes in how much you will need to maintain the same style of living. Take inflation into consideration when you’re wondering whether you can afford to retire. 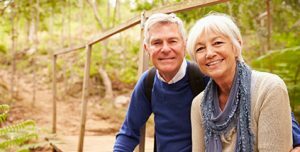 If you’ve ever wondered “Can I afford to retire?” or are wondering when your working life may end, Money Help Center has calculators to help you evaluate when you can retire as well as calculators to help you determine how much you need to save now to enjoy your golden years in prosperity. What are your plans? Are you ready to retire?